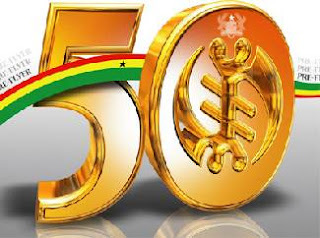 A number of projects are being executed in the Accra metropolis as part of plans and programmes to turn the physical and aesthetic outlook of the city for the country’s 50th independence anniversary. Various organisations including the Ghana at 50 Secretariat, the Accra Metropolitan Assembly (AMA) are funding these projects.Among the projects being undertaken by the Ghana at 50 Secretariat are the rehabilitation of the Independence Square, Freedom and Justice Arch and the Military Monument at the 28th February Crossroad. The Project Officer in charge of Public Affairs at the secretariat, Mr Henry Wellington Okyne said, the secretariat was funding the construction of 10 jubilee rest stops on major highways throughout the country, adding that the projects were at various stages of completion. The Very Important Person (VIP) lounge at the Kotoka International Airport is also being rehabilitated.Mr Okyne, however, could neither immediately give the cost of the projects, nor could he mention the exact locations where the projects were being undertaken.Some residents have already been gripped by the jubilee anniversary fever as they have displayed paraphernalia including Ghana flags on their vehicles, while others are seen wearing clothes made from the colours of the Ghana flag, which are red, gold and green with a black star in the middle. One could also get bangles, hats, key holders and other items which have all been made with similar colours.According to Mr Okyne, although the secretariat was producing some of the paraphernalia, there were other individuals and companies who were manufacturing these items.